An anonymous source, who did not want to be identified for fear of reprisal by David Perry, said today that they called the United States Social Security Administration in May, to tell them that David Perry, currently a suspect in the disappearance of Police Cadet Kelly Rothwell, was collecting SSID Disability benefits illegally. This source, who had first-hand knowledge of Perry’s activities while he was living in Florida with Rothwell at their Indian Rocks Beach condo, told a Social Security investigator that they had seen Perry running regularly, wind-surfing and kite boarding on the beach in front of the condo, and biking around the neighborhood among other actions that a supposedly –injured person should not be able to do. The source also confirmed that the investigators also talked to the manager of GetFitness, the gym that Perry belonged to, and that the manager confirmed that Perry often worked out there strenuously. Another source, who also did not want to be identified for fear of reprisal from Perry, said that he used to kite and wind-surf with Perry on the beach. He was also questioned by Social Security investigators and confirmed that Perry would often work out on the beach and did in fact wind and kite surf there. 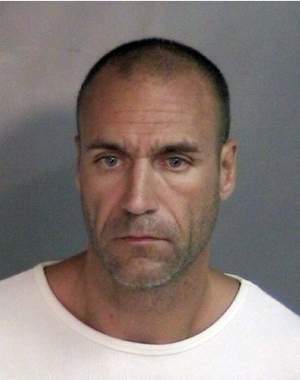 This source, when first approached in March with the info that Kelly Rothwell was missing, said instantly that he thought David Perry had killed Rothwell, citing the many times that he had seen Perry’s irrational and often violent behavior when the source and a friend would hang out with Rothwell and Perry. Windsurfing or kite sailing is a water sport that combines elements of sailing and surfing. It consists of a board usually two to four feet long, powered by the effect of the wind on a sail. The rig is connected to the board by a free-rotating universal joint and comprises a mast, wishbone boom and sail. The sail area ranges from less than 3 feet to more than 12 feet, depending on the conditions, the skill of the sailor and the type of windsurfing being undertaken. 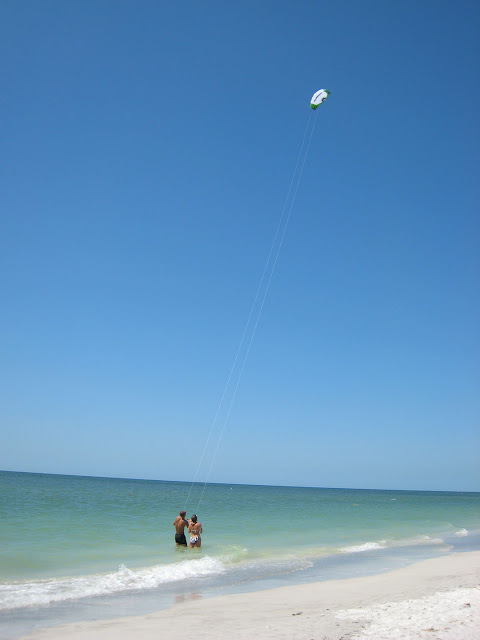 A kite- surfer or kite-boarder uses a board with or without foot-straps or bindings, combined with the power of a large controllable kite to propel the rider and the board across the water. Both of these sports require a tremendous amount of upper body strength and coordination, and should be extremely difficult to do if one was disabled or injured in the manner that Perry has claimed to be. Meanwhile, Perry is living back in Elmira, New York and has been seen by many up there biking and jogging around town. When approached by a local TV crew after his Grand Jury indictment, Perry took off running and easily avoided the cameraman. The footage clearly shows Perry capable of running. He did not appear to limp or seemed to be in pain. Perry, who was indicted by a Grand Jury in Broome County, New York earlier this winter on felony grand larceny and fraud charges, is currently out on bail. The charges stem from an alleged Work-Comp injury sustained while he was working as a prison guard at Elmira Correctional Facility, in which Perry claimed to have been injured in an inmate-related scuffle. Perry claimed to have injured his back and in October of 2003, was able to successfully obtained permanent disability benefits from both Social Security and the New York State Insurance Fund, which pays Workman’s Comp benefits. It was recently revealed that he married Melissa Walker, an Army Specialist who is based at Tripler Army Hospital in Hawaii. In an inexplicable move, Judge Martin Smith of Broome County allowed Perry to go to Hawaii in late July for a month. It was then that Perry applied for a marriage license and appears to have married Walker in August of this year. Perry claims to have met Walker on Craig’s List after Kelly went missing, although people who frequent Perry’s Florida gym told authorities that two week PRIOR to Kelly’s disappearance, Perry cancelled his gym membership, telling everyone he was moving to Hawaii. Perry’s action is at the least, suspect, at the most, actionable. He has refused to speak to police and is taunting Kelly’s friends, supporters and family on FaceBook pages that have been set up in support of Kelly. He has made “anonymous” comments to this blog, saying heinous things about Kelly that make absolutely no sense. He has ridiculed the efforts to find Kelly Rothwell yet was recently heard to say that Kelly “was the love of my life.” He has never looked for Kelly, nor helped nor volunteered any reason for her disappearance and his sudden flight to New York the day she went missing, March 12th. In a recent break in the Florida case, a local news station reported that a witness came forward to say that she had seen Perry acting strangely at Eagle Park, hiding behind a tree when she tried to catch his eye. She recognized him from a recent story done on his marriage to Walker. The witness, who was walking her dog at the time, said that when she saw the recent news story, she remembered seeing him in the park, which is about 7 miles from the condo that Perry and Rothwell shared. She remembered his odd behavior as he tried to hide behind the tree, thinking it was very strange. Kelly Rothwell (back to photographer) watches Perry practice with the kite sail. Perry was advised to learn to control the kite before trying to get on the surfboard with it. Perry and Kelly Rothwell on the beach in Indian Rocks Beach. Perry who was learning to kite surf, was told to practice with just the kite sail before getting up on the board. Here he is holding the kite, which measures about 8-12 feet across. I'm glad to hear that his fraud case is being investigated by Social Security as well. Thank you for updating us! Maybe once these cases are settled, he will be arrested for Kelly's murder. After all he is the only suspect! This fool seems to think he will just walk away and move on with his life! Good luck with that Perry! It is surreal to see the pictures of the monster lurking beside Kelly! God bless you Kelly! We will not stop! I am glad someone reported him to the Social Security Administration for possible fraud. I would have reported him myself until I read a newspaper article that said that the SSA doesn't have the resources to investigate fraudulent receipt of benefits. I hope that the SSA finds that DP received his benefits fraudulently-- and applies the appropriate penalty. I also wish that he would cooperate with authorities as to what happened to Kelly.